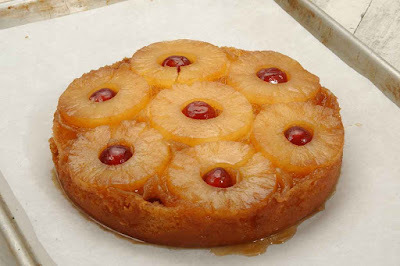 Make a well in the center and add the eggs, vanilla and crushed pineapple, with liquid from can. Mix well to blend. Bake for 45 minutes, or until a toothpick inserted into cake comes out clean. To make the frosting: in a medium bowl, combine cream cheese, butter, confectioners sugar and 1 teaspoon of vanilla. Pineapple Cake Recipe photo by Taste of Home. Publisher Photo .... Weeknight Dinners. Quick & easy homemade meals that are perfect anytime!